On the 25th of January, the Feast of the Conversion of St. Paul, 60 chapter delegates representing 17 Regions and Provinces of the Congregation of the Society of St. Paul gathered in Ariccia (just outside of Rome) for their 10th General Chapter where they will elect a new Superior General. This General Chapter is extraordinary as it follows upon the untimely death of the immediate past Superior General Fr. Silvio Sassi, SSP. In the afternoon of that first day, after presenting their credential letters, the Delegates read, discussed and approved the Rules and Regulation of the X General chapter and proceeded to elect various organizing bodies of the Chapter. Fr Alphonse Abedi (Congo) and Fr Juan Carlos Pinto (Spain), the youngest delegates of the chapter, were elected as scrutineers. Afterwards Fr Paulo Bazaglia (Brazil) was elected as the Secretary of the Chapter. 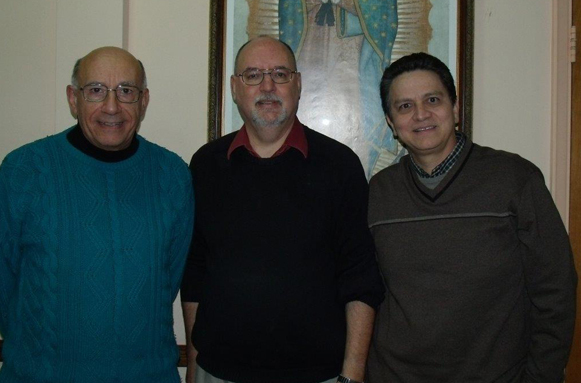 Three were then elected members who together with the President of the Chapter (Vicar General) and the Secretary form the Central Commission: Fr Jose Pottayil (India-NigeriaGreat Britain-Ireland), Fr Carlo Cibien (General Councillor) and Fr José carlos Nunes (Portugal). To draft the minutes of the Chapter, Fr Vincenzo Vitale (the General Secretary) and Fr Giacomo Perego (Italy) were elected as Actuaries. At the end Fr Agatino Gugliara (Italy) was elected as Information Secretary of the Chapter. The voting for the new Superior General begins the first week of February. Let us pray for all the delegates of the Chapter especially our three brothers of the American Province.